We understand the importance of protecting the personal information of our customers. 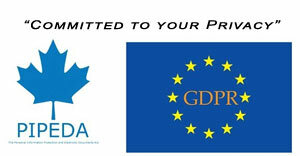 To earn and maintain your trust we have designed our policy to meet or exceed the requirements of the Personal Information Protection and Electronic Documents Act (PIPEDA), Canada’s Anti-Spam Law (CASL) and principles set forth in the Canadian National Standard for the Protection of Personal Information. Accountability Sea to Sky Wilderness Adventures has a Privacy Office that is responsible for ensuring compliance with the requirements of PIPEDA. Should you have any questions regarding this policy or concerns with respect to Sea to Sky Wilderness Adventures compliance with the requirements of PIPEDA, you may contact the Sea to Sky Wilderness Adventures at the above address. Identifying Purpose of Collection When you purchase a Sea to Sky Wilderness Adventures product or register for one of our adventure trips, you will be required to provide certain personal information to complete your transaction. This may include name, address, telephone number, payment card number and expiry date. The information is required to identify you, in order to contact you, if necessary and to complete the process of your purchase. You will also be requested to state your gender in order to assess tent partners. Special Offers or Discounts Sea to Sky Wilderness Adventures offers special discounts for adventure or alumni trips. These will be conveyed to you via email. You will have the option to unsubscribe for all future approaches. Special Assistance It may be necessary to contact your personal physician in order to ensure that all necessary precautions for your safety and enjoyment are taken. This information will be forwarded to our guides so that they can act properly in accordance with the physician’s instructions. Tracking Technologies As is true of most websites, we gather certain information automatically and store it in log files. This information may include Internet protocol (IP) addresses, browser type, internet service provider (ISP), referring/exit pages, operating system, date/time stamp, and/or clickstream data. We do not link this automatically collected data to other information we collect about you. Some information is also collected automatically every time you visit bcyukonadventures.com. We and our marketing partners, affiliates, or analytics or service providers, use technologies such as cookies, beacons, tags, and scripts, to analyze trends, administer the website, tracking users’ movements around the website, and to gather demographic information about our user base as a whole. We may receive reports based on the use of these technologies by these companies on an individual and aggregated basis. We partner with a third partys to either display advertising on our website or to manage our advertising on other sites, other than Google Adwords and FaceBook. Our third-party partners may use technologies such as cookies to gather information about your activities on this website and other sites to provide you advertising based upon your browsing activities and interests. If you wish to not have this information used for the purpose of serving you interest-based ads, you may opt-out by accessing Google and Facebook. It does not however opt you out of being served ads. You will continue to receive generic ads. To opt out of receiving advertising on Facebook based on your browsing activities and interests, click the box on the top right corner of a Facebook ad and select “Why am I seeing this?”. From there, you can click on the link “Manage your Ad Preferences” and follow the instructions to opt out of receiving such personalized advertising on Facebook. Local Storage Third Parties, with whom we partner to provide certain features on our site or to display advertising based upon your Web browsing activity, may use HTML5 to collect and store information. Various browsers may offer their own management tools for removing HTML. Consent When you book your travel, you provide Sea to Sky Wilderness Adventures with your implied consent to use your information to fulfill your request. Sea to Sky Wilderness Adventures email offers When you book your travel with us you are added to our email list that will be used to contact you occasionally with offers that we feel will be of interest to you. If you do not want Sea to Sky Wilderness Adventures to contact you with offers you may withdraw your consent at any time simply by entering “Unsubscribe” in the subject line of a return email to us. If you opt in to one or more of Sea to Sky Wilderness Adventures email offers you are consenting to allow Sea to Sky Wilderness Adventures to contact you regarding those offers. You may withdraw your consent at any time simply by following the instructions on how to “unsubscribe” contained in all emails sent. Limiting Use, Disclosure and Retention Sea to Sky Wilderness Adventures will not use or disclose your personal information for purposes other than those for which it was collected without your explicit consent or as required by law. You should understand that we may be required by new security laws in the U.S. and several other countries to give border control agencies access to travel plans. Accordingly, any information we hold about you and your travel arrangements may be disclosed to customs and immigration authorities of any country in your itinerary. In certain situations, Sea to Sky Wilderness Adventures may be required to disclose personal data in response to lawful requests by public authorities, including to meet national security or law enforcement requirements. We may also disclose your personal information:  as required by law, such as to comply with a subpoena, or similar legal process  when we believe in good faith that disclosure is necessary to protect our rights, protect your safety or the safety of others, investigate fraud, or respond to a government request,  to any other third party with your prior consent to do so. Customer information is retained for as long as necessary to fulfill the purposes for which it was collected. We will retain and use your information as necessary to comply with our legal obligations, resolve disputes, and enforce our agreements. Accuracy When you join bcyukonadventures.com you can ensure that the personal information we hold is accurate and up to date. You supply the information and if it should change, for example if your telephone number changes simply send us an email. Testimonials We display personal testimonials of satisfied customers on our site in addition to other endorsements. With your consent we may post your testimonial along with your name. If you wish to update or delete your testimonial, you can contact us. Security Your personal information is treated as strictly confidential by Sea to Sky Wilderness Adventures. We have taken the appropriate technical and organizational security measures against loss or unlawful processing of this information. To this end, Sea to Sky Wilderness Adventures uses several security techniques including secure servers, firewalls and encryption, as well as physical safeguard of the locations where data is stored. Safeguards Personal information is encrypted as it travels over the Internet. Depending on your web browser you may see a secure webpage indicator, for example a closed lock in the lower right hand corner of the Internet Explorer browser. The use of Secure Socket Layer protocol (SSL) allows all personal information such as your payment card number, to be encrypted as it travels from your computer to Sea to Sky Wilderness Adventures booking system. Once received, the information is unencrypted and processed in the same way as a payment card transaction placed via the telephone. Openness Sea to Sky Wilderness Adventure sprivacy practices are as outlined within this policy. Should you have any questions or comments you may contact the Sea to Sky Wilderness Adventures. Individual Access Upon request, Sea to Sky Wilderness Adventures will provide you with information about whether we hold or process any of your personal information on behalf of a third party. To request this information, please contact the Sea to Sky Wilderness Adventures. With certain limited exceptions as provided in the PIPEDA you have a right to access your personal information held by Sea to Sky Wilderness Adventures. We will respond to your request within a reasonable timeframe. If you want access to your personal information on your travel booking through Sea to Sky Wilderness Adventures contact us. Challenging Compliance If you have any concerns regarding Sea to Sky Wilderness Adventures compliance with the 10 principles of the PIPEDA you may address those concerns to the Sea to Sky Wilderness Adventures at the address provided. Complaints concerning Sea to Sky Wilderness Adventures compliance with PIPEDA are taken seriously and all complaints are investigated.